Replace your broken stove glass quickly and easily. 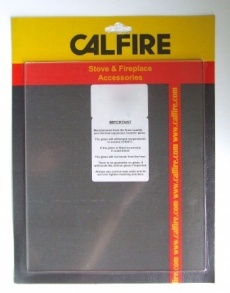 We stock Calfire Panels which are manufactured from the finest quality zero thermal expansion rated ceramic glass. Sizes are available from stock for all leading stoves. We also supply Mica sheets and sets, and replacement glass strips, plus glass fixing accessories.